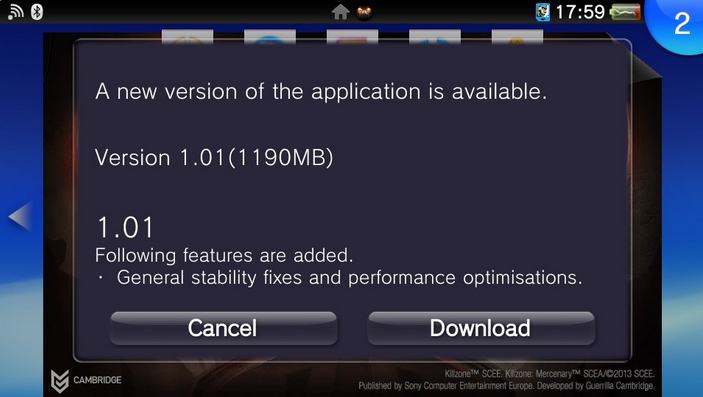 According to the Sixth Axis, the size of the upcoming Vita title is roughly under 5 GB (which includes a mandatory patch of 1.2GB). Should be pretty stable now. This is a pretty big size...lucky for those of you with a larger memory card, but if you only have a 4 GB card it is time to upgrade if you're picking this one up digitally. 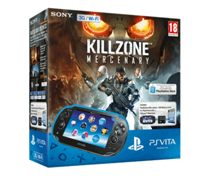 Is this why the Vita Mercenary Bundle in Europe has an 8 GB card with the package? And what about DLC? If KZ Mercs is as successful as people think it will be, do you think there will be an additional map pack to download someday? Comment below: Which version are you going to pick up in the next week?